Remember my ghost chair from my sophomore dorm room? An identical chair is included in the Amazon Prime Day sale! 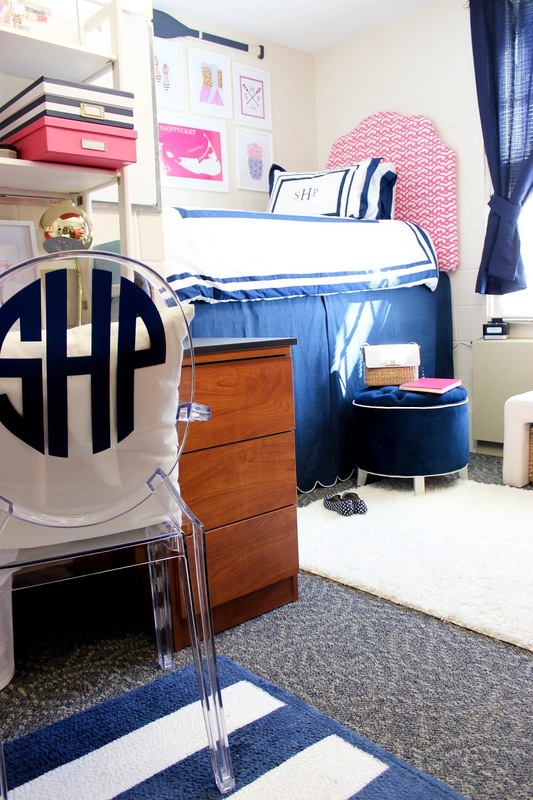 See the full post of my sophomore dorm room. What: Amazon Prime Day is a one-day annual sale. Amazon heavily discounts over 100,000 items in categories ranging from electronics to furniture! When: It's a 30-hour event beginning at 9 pm EST on July 10 and runs until 3 am EST on July 12th. What: Nordstrom discounts a huge selection of new fall and winter items enabling you to shop new pieces for the upcoming cooler weather! You can see a sneak peek of what will be included in the sale here. When: The sale will run July 21 - August 6. However early access starts this Thursday, July 13! How do you get early access: You can shop the sale a whole week early by signing up for a Nordstrom debit or credit card! I know it seems weird to buy fall and winter things when we're in the heart of summer but when you see the discounts that Nordstrom offers you'll understand why it's worth it! This is the perfect time to stock up on jackets, boots, sweaters and all essentials for the cooler months. I'll be posting more about my favorites from the sale once it begins but it's smart to look flip through the sneak peek so you can get familiar with what you might be interested in!